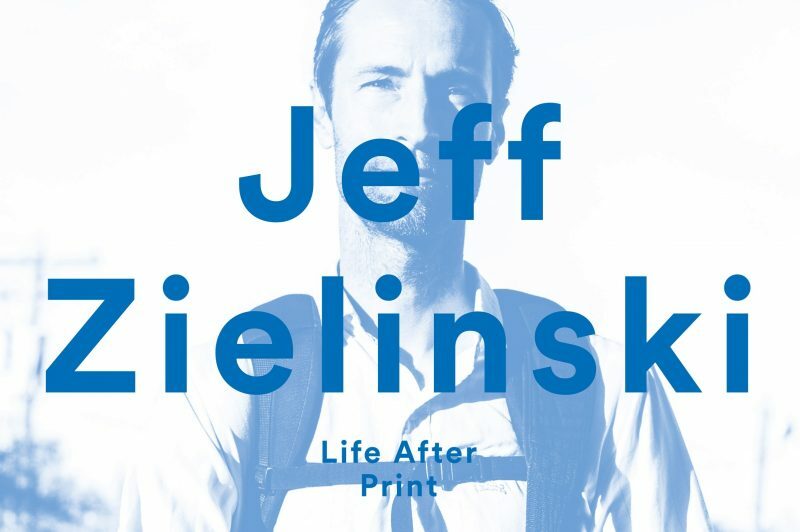 "Flipping through an old magazine serves as a time capsule"
— Next up is the one and only Jeff Zielinski: a name synonymous with incredible photographic work (and workload) at RIDE US and someone considered by many to be THE best in the game. How has your day-to-day work schedule changed since Ride went online? When I first started working for Ride full time in 2001, my title was Associate Editor and my job consisted of shooting photos, writing articles, conducting interviews, and generally producing content and coming up with ideas for RideBMX magazine. That was pretty much all I did for the first few years, along with occasionally contributing some work to “the site”—typically in the form of a photo gallery or an archive piece. Nowadays, most of my days are spent editing footage, filming, shooting photos, blogging, and the obligatory feeding of the insatiable social media monster. When I go on trips I’m usually lucky enough to still focus on shooting photos for the most part, with all of those other things mixed in there as well. As for when I’m home, I still make an effort to get out and shoot photos as much as possible. Even though the “need” for photos in the BMX industry has diminished quite a bit—and so have my preferred mediums to display them—shooting BMX photos (and riding) are still my favorite things to do—hands down. Do you have to hustle for more work outside of what you do with Ride? Yes, I do, but I think the hustle is just part of being a photographer. I’m actually a full time salaried employee at Ride, so thankfully I don’t have to hustle check to check, but Southern California is an insanely expensive place to live and I have a wife and daughter to support, so I’m always trying to bring in more money whenever I can. As long is it doesn’t interfere or conflict with my Ride work, I’ll take any opportunity that comes my way. Within BMX, I work for a lot of brands shooting action stuff, products, complete bikes, and some commercial stuff as well. I’ve also been moonlighting as a wedding photographer for the past few years. When I was younger I never would’ve imagined I’d be shooting weddings, but ultimately, I’m still shooting photos, and even though the subject matter isn’t as exciting to me as BMX, I still feel like I can express myself with my own style while documenting a wedding, and I think that’s pretty cool. Jeff Z, Kansas MI. October 2017. "As for the dudes who are still active in shooting photos, a lot of them are spending more time filming and editing too. I don’t shoot nearly as often as I used to and I can honestly say that the infrequency has led me to feeling kinda rusty on occasion..."
With much fewer people being employed exclusively as BMX photographers with any outlet, do you think it will have any impact on BMX photography as a craft? I’m really not sure. I’d like to think the craft will always be there as long as there are people who are passionate about both BMX and photography. 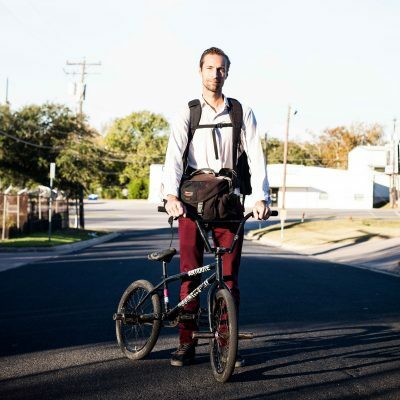 However, in the current state of BMX media, video garners the most views and YouTube is the focus, so I think there are more opportunities for videographers than photographers nowadays. What that means for BMX photography is that as more people are gravitating towards filming the photographer pool is shrinking. As for the dudes who are still active in shooting photos, a lot of them are spending more time filming and editing too. I don’t shoot nearly as often as I used to and I can honestly say that the infrequency has led me to feeling kinda rusty on occasion—just not as on point as I should be. It’s like if you went from riding pretty much every day, to riding say, once a week, you’re not going to be as dialed. 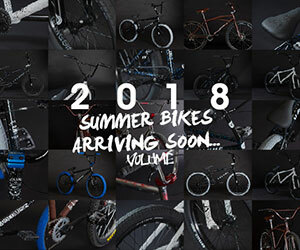 Beyond all that, I think the biggest thing that will directly affect the craft is the lack of monthly newsstand BMX magazines. Photos were the lifeblood of the magazines and those printed pages inspired every BMX photographer I know. I don’t think Instagram or YouTube tutorials can replace that initial spark that full bleed BMX photos ignited. Not only did magazines help set a benchmark of photo quality, but getting a photo printed in one was a goal. 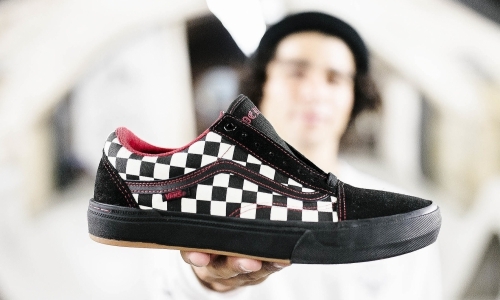 There are still a few print options, but the days of taking a BMX magazine off the shelf in the supermarket and finding your first published photo are long gone. Because of how things have changed, do you think there’ll be any detrimental effect when it comes to recording the history of BMX? I’m not sure about recording, but there’s certainly far more documentation of BMX today than there has ever been. I feel like today’s generation of riders don’t even want to break a sweat unless there’s someone documenting what they’re doing. But the quality of the documentation may be suffering. It kills me sometimes when I see incredible riding in a video and I know there wasn’t a proper photographer on hand to document it. Nobody pauses a video at peak action and stares at it, breaking down the layers, looking at the expression on the rider’s face, examining their bike, etc… That’s the beauty of a BMX photo. Videos will never replace the defining moment of the peak action shot. Not to continually bark up the magazine tree, but flipping through an old magazine serves as a time capsule—the photos, ads, articles, etc… You could get a similar feeling from an old issue of Props I guess, but nothing really captures a moment in history like a photo does. 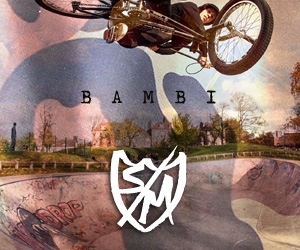 What advice would you give to the young up and coming BMX photographers that are out there? My advice isn’t really applicable to what I talked about above, it’s just more general stuff… Pay attention to what you’re doing when shooting so you can learn from your mistakes. There have been countless times when I made a new mistake and every time I do I tell myself, “I’ll never make that mistake again.” Learning from your mistakes is part of the process that will never end—no matter how experienced you are there’s always a new mistake to be made. Also, even the most successful BMX photographers aren’t making a killing, but they love what they do and they get to be immersed in BMX every day—and you can’t put a price on that. So have fun with it and just see where it goes. "Nobody pauses a video at peak action and stares at it, breaking down the layers, looking at the expression on the rider’s face, examining their bike, etc… That’s the beauty of a BMX photo." "I wish I'd ran 4 pegs sooner"